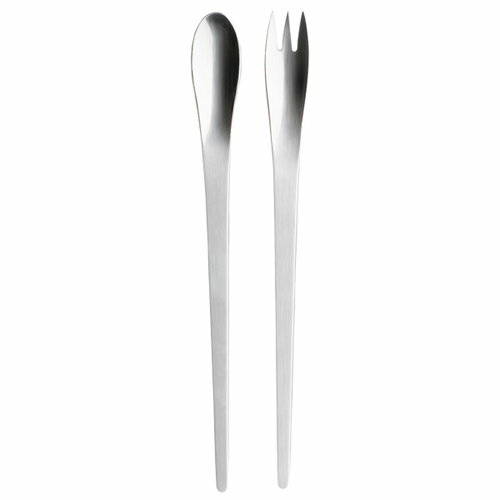 Master craftsman Arne Jacobsen revolutionised cutlery with his modern design. Dating from the post - World War II ?golden age? of Danish design, the pieces of the Arne Jacobsen collection feel as contemporary today as they did when they first debuted. The salad servers are comfortable to hold and nicely balanced. 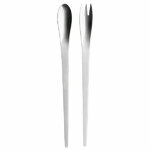 The matte stainless steel is smooth and the seamless shape lends elegance to your table setting. This collection has been called ?cutlery without frills? because it is the sophisticated design that makes it stand out rather than a pattern or additional adornment.